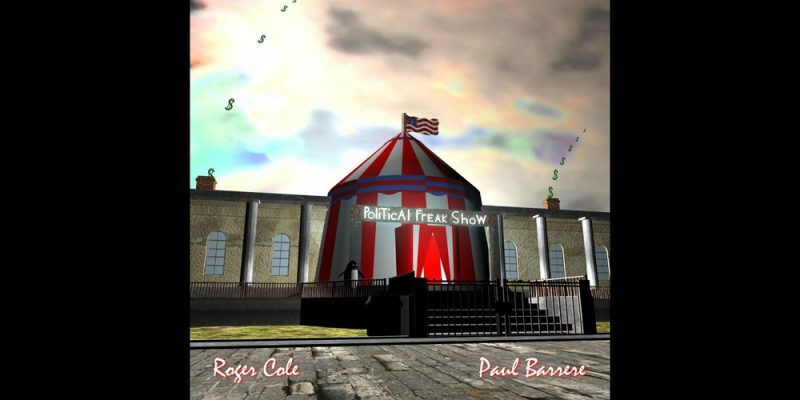 Political Freak Show is a song that brings a sort of classic, Pink Floyd inspired style of songwriting and performance, and fuses it with a brilliantly appropriate, addictively rhythmic, circus-like folk-rock back bone. The track undoubtedly has a very raw and organic sound to the recording, which, in all honesty, makes it all the more accessible and relevant. Among other things, it gives you plenty of space within which to really soak up that melody line, and to try to grasp the array of unusual and utterly original lyrics and the ideas at which they are pointing. There’s poetry in these lyrics, and the reflective nature of the lines and the thoughts expressed has a certain freshness to it that is not often heard in a lot of modern music. The leading vocal has a fairly vintage sounding presentation to it, which works well within the overall feel of the music, but that organic, folk-like musicality and the sheer unpredictability of the lyricism, add something completely new to the mix. It’s like a favourite song from the sixties has been lightly sprinkled over a beautifully bizarre new song about the current state of the world. It feels and sounds very now, and that’s not what you might expect from listening to just a snippet of the song. To listen fully is to let the track really get inside your head, and this, in all honesty, is where songs like this belong. Anything that provokes thought in such a way, that opens the mind to alternate views of reality – makes you re-consider, re-analyse things – is more than worth letting into your consciousness. On the other hand, musically speaking, the track very much belongs at a live show. In many ways, you can hear the energy of the music and the rhythm, you can feel the passion of the ideas and the performance, and all in all – it’s a truly refreshing kind of musical artistry for this time in our lives. To really take on the concept and the substance that makes up the songwriting, it would be crucial, and probably immensely enjoyable, to witness Roger Cole and Paul Barrere performing the song live. In amidst a set of much more of their original material, of course. The opening lyric is one to grab your attention in itself, and it only gets more and more interesting from there on in. Well worth a listen. Check out Roger Cole and Paul Barrere’s label Better Daze Music on Twitter and Facebook. Visit their Website for more music and info.